Facilities Charge $26.00 per month. Generation/Transmission Energy Charge is $.0772/kWh. Distribution Energy Charge is $.0362/kWh.  The above rates shall be increased or decreased in accordance with the provisions of the Cooperative’s Wholesale Power Cost Adjustment Schedule. Effective April 2019, the Wholesale Power Cost Adjustment is $0.00053 /kWh. This amount may fluctuate monthly depending on power cost from our power supplier. For commercial and industrial rates please call (800) 255-6815. Effective on all electric bills received after January 1, 2018, the monthly Facilities Fee will be adjusted from $25 to $26 per month. There will be no change for the monthly Generation and Transmission Charge and the Distribution Energy Chargeso they will remain the same. To continuously provide Cooperative members with safe, reliable energy at a moment’s notice, The Energy Cooperative (TEC) must maintain system equipment such as electric lines, poles, and meters. TEC must also perform record keeping and administrative tasks. The monthly Facilities Fee covers the cost of these services. These costs do not vary with consumption. They are charged equally to all members so that each member can have reliable service at any time. Whether you use a lot or a little energy each month, the cost of providing electricity or natural gas to your home or business remains the same no matter the time of year. Deposit (Maximum):130% of highest bill during last 12 months at that service address.